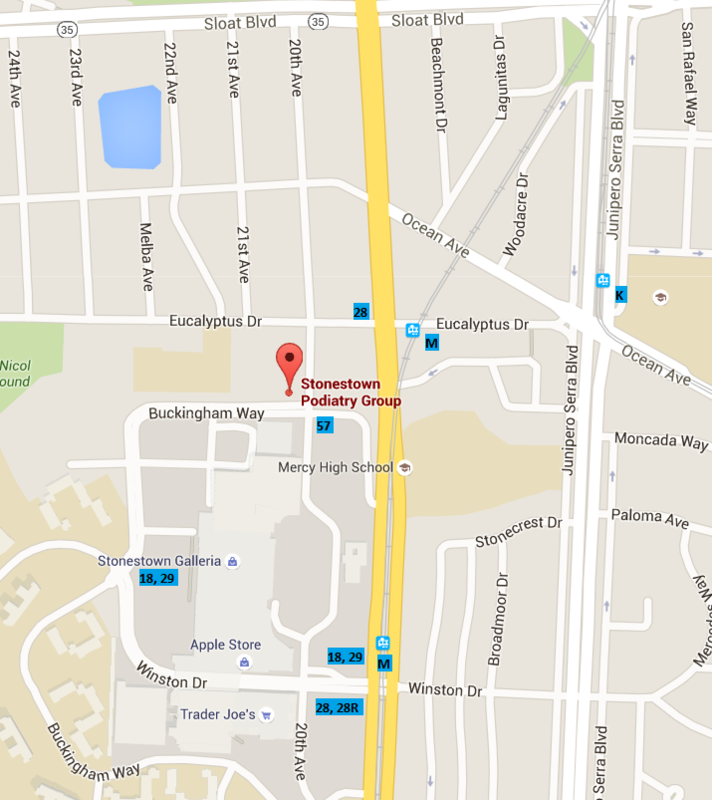 We are conveniently located just north of Stonestown Mall in San Francisco with FREE covered parking. There is additional ample uncovered parking in the back lot on the north side of Buckingham Way. If you require wheelchair accessibility be sure to park on the lower level of the covered lot. We are also easily accessible (within 2 blocks) from MUNI lines 18, 28, 29, 57, and M. The 57 stops right across from our building. Head southbound on 19th Ave., then take a right onto Eucalyptus Drive. Take the first left onto 20th Ave., the entrance to the parking garage will be on the right hand side. Head northbound on 19th Ave., then take a left onto Winston Drive towards the mall. Take a right onto 20th Ave. and head north just past the mall. The entrance to the parking garage will be on the left hand side.